There is no way that you can hope to make it throughout the long, hot summer months comfortably without an exceptional air conditioning system. Call us today to ensure that you get the quality air conditioning installation you need to enjoy the greatest performance that your air conditioner has to offer. No matter how you choose to cool your home, our Madisonville, LA air conditioning team has everything you need to enjoy an outstanding performance from your new or replacement air conditioner system. Never put off any air conditioning repair services in Madisonville, LA when you discover a problem with your system. The stakes are just too high. Call our Madisonville air conditioning repair technicians at the first sign of trouble. The sooner your air conditioning system is repaired, the better off it is likely to be. Plus, with routine air conditioning maintenance, you can enjoy a great performance from your air conditioning system while limiting repair needs. Ready for an air conditioning system upgrade? 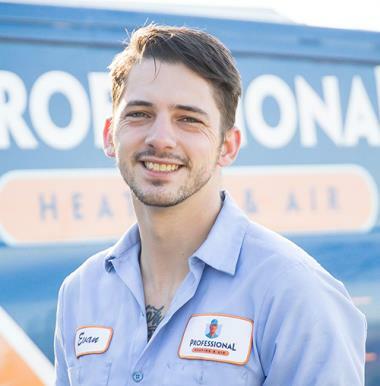 Professional Heating & Air offers top quality air conditioning installation and replacement services to Madisonville, LA and the surrounding area. 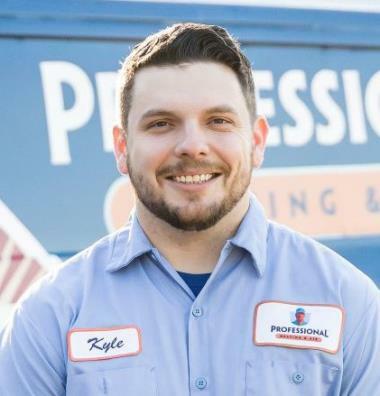 Our certified technicians will not only offer high quality service, but they will help you find the system that works best with your home and needs. Need to remove your old air conditioning system? No problem, the professionals at Professional Heating & Air take care of it! Keeping your home cool is Madisonville, LA is essential for your comfort. Keep your air conditioning system running in top shape with our tune up and maintenance services. We’ll make the necessary adjustments and fixes before they become a problem, which can lead to repairs at a higher cost. Contact us today to schedule air conditioning maintenance in Madisonville, LA. You must schedule professional heating services in Madisonville, LA if you want to keep your home comfortable throughout the heating season. There is no way that you can expect a great performance from your system without first ensuring a great heating installation. Have an old heater that is no longer able to keep your home warm and cozy with the reliability you deserve? Call today to schedule a professional heating system replacement service. If you encounter any problems with your home heating system, call us immediately. We can complete any heating repair in Madisonville, LA you may need. Waiting to schedule service greatly increases the risk of serious damages to your heating system. Call today to make sure that your comfort is not disrupted during the heating season. Remember to schedule routine heating maintenance as well. Do you own commercial property? Then it is necessary to schedule a high–quality commercial HVAC services in Madisonville, LA to protect the comfort of all those therein. Make sure that your clients and employees are comfortable and happy. Call today to schedule professional commercial HVAC installation and Replacement services. You cannot wait to schedule commercial HVAC repair. As soon as you discover a problem, give us a call. This will help reduce any negative impact or damages. It is also in your best interest to schedule routine commercial HVAC maintenance in Madisonville, LA. At Professional Heating & Air Conditioning, your comfort comes first. Call today to schedule service. You can count on us for great heating, air conditioning, indoor air quality and commercial HVAC services in Madisonville LA. Thank you guys so much! We are so happy that you chose us for your install and hope that we can continue to impress you and take care of all of your HVAC needs! Thank you so much! We really appreciate your business! The technician did a thorough job checking the unit and gave advice according to situation. It was Saturday. And Kyle came and fixed us up! Great work. James was great to work with. He did a good job of explaining everything about my unit in a way I could understand. My service tech was very polite and capable. Got me cool fast and telephone personnel very courteous and considerate. Josh did a great job. He came out to the house less than an hour after I called on a Saturday morning. He evaluated the situation and took appropriate steps to resolved my problem. 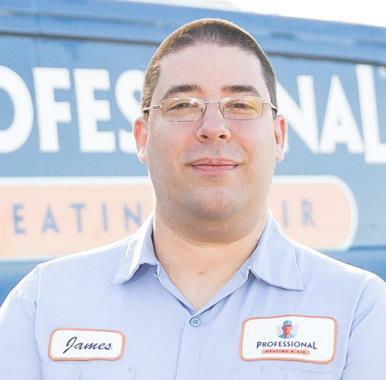 I will be calling A Professional for all my heating and cooling needs. Preformed maintenance on American standard ac systems. Preformed maintenance on lennox gas heat systems. Unbelievable preventive maintenance performed on Gibson split system! Preventive maintenance performed on gas furnace. Preformed preventive maintenance on trane ac system. Preformed maintenance on lennox ac and gas heat system.